Went off season and got a free upgrade to sea view - a huge plus (would recommend paying extra for this as it really is worth getting the sea view side). Great balcony. Plenty of parking. Spacious, clean and modern flat with all essentials to prepare food if you don't want to go out to one of the many nearby village or beach restaurants - so great for families. Also an ideal base to explore the nearby ancient sites, and pretty town of nafplio. Fantastic view. Very helpful check in. Lovely apartment. Great roof top breakfast room. Friendly staff and owner. 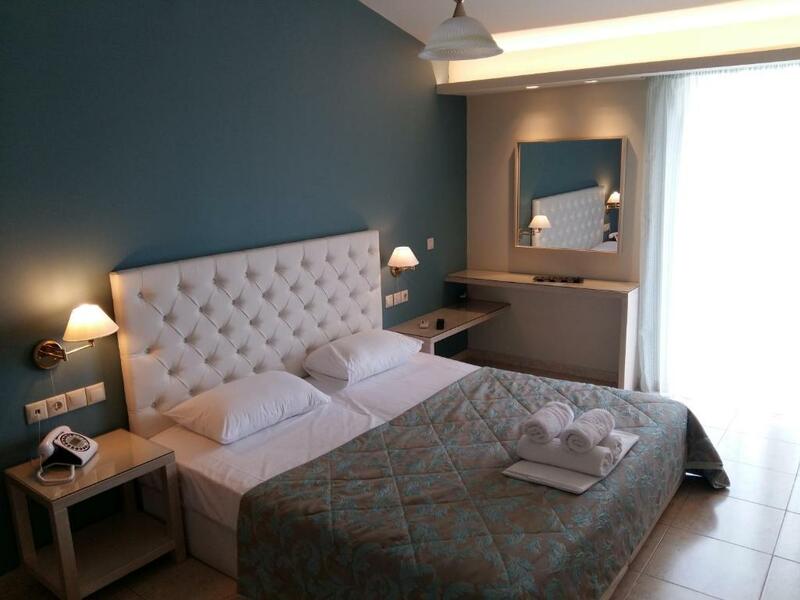 Comfortable and spacious room with all that is needed for a two days stay. Private terrace with magnificent view. The staff were lovely - very helpful and friendly. The apartment location at the top of the town offers a great view out to sea, and the walk down to the front is no more than five minutes, although you may need a respirator to get back up the hill if you are as unfit as me! Breakfast was very nice with local produce available. A bit continental for me (I do like a bit of bacon when on holiday), but given where we were and the general target market that can hardly be seen as a complaint. All in all, a very nice place to stay in a nice seaside resort. Personal attention by staff made us feel very welcome. Good size apartment. Fabulous view of the bay. Within easy walk of the main street and beach. Welcoming staff and helpful. 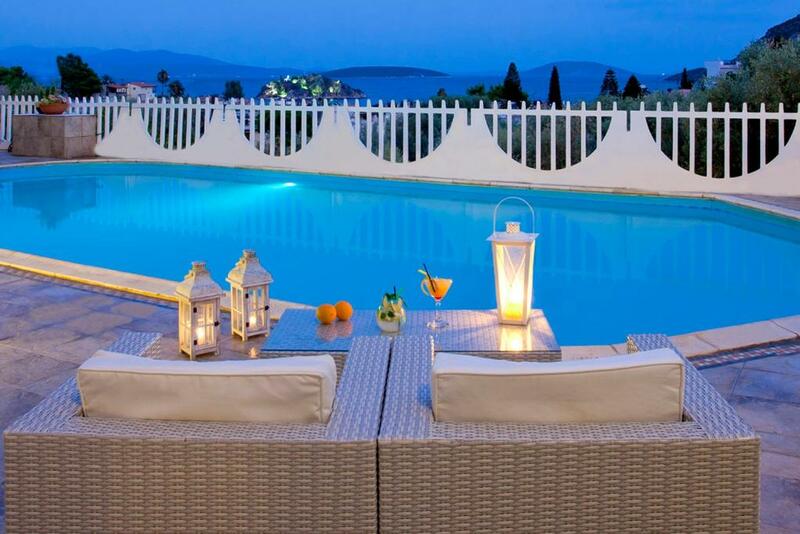 Lovely pool and seating area with outdoor bar. Really helpful staff when we requested an earlier breakfast due to an early depoarture. Decent breakfasy. Good scrambled eggs. Perfect sea view frm room , and from breakfast restorant. Breakfast, very good organised only with quality food. Restorant service excellent , room cleaning , like 4 star rate. We where given the choice of 2 apartments. we chose the one with a lovely private seating area with a great view. The staff are very friendly and welcoming. views are very great. we enjoyed the stay. A bit far from the sea, and you should climb the road. But in return of this you will get: quietness, amazing view from balcony, and hospitality of staff. Lock in a great price for Viaros Hotel Apartments - rated 9 by recent guests. 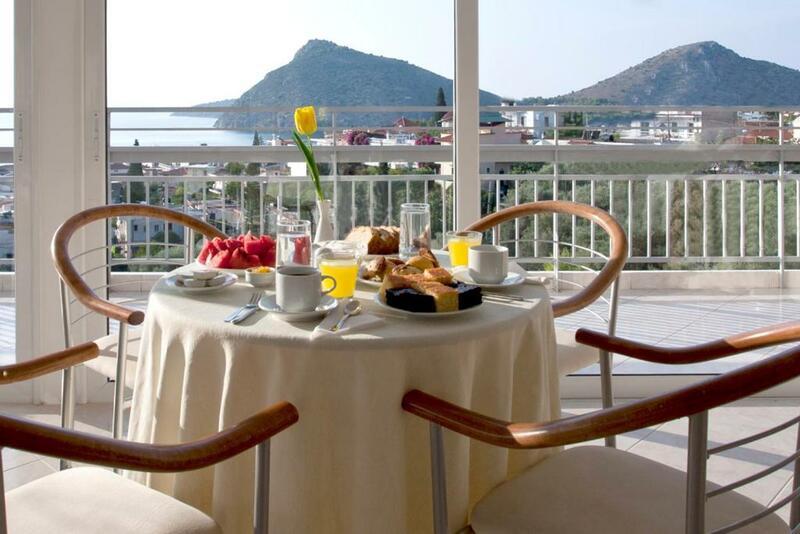 One of our top picks in Tolo.Viaros Hotel Apartments offers modern accommodation with panoramic sea view. 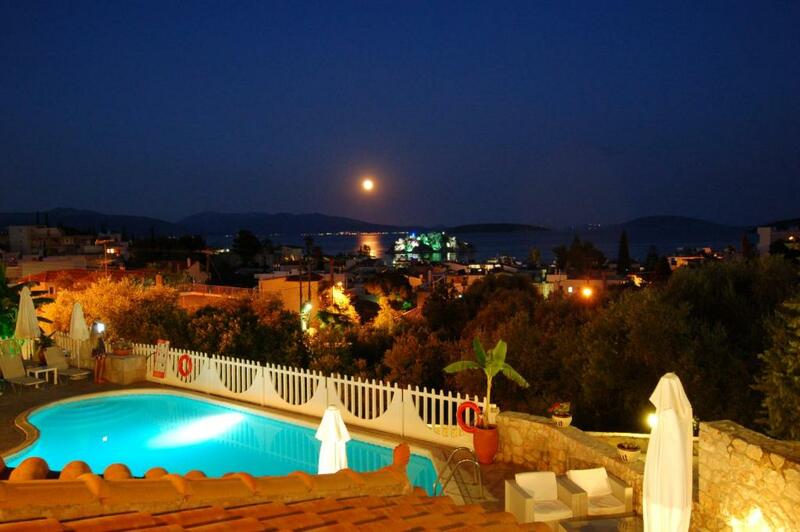 Its 2 buildings are located 100 yards from the beach, in the popular seaside resort of Tolo in the Peloponnese. All the apartments have air conditioning, kitchen and balcony with wonderful views of the village, or the mountains or the sea. During your stay at Viaros Hotel Apartments you can relax by the pool with a drink from the bar, enjoy your breakfast at the roof garden. Walk to the beach where you can fish or enjoy all kinds of water sports. 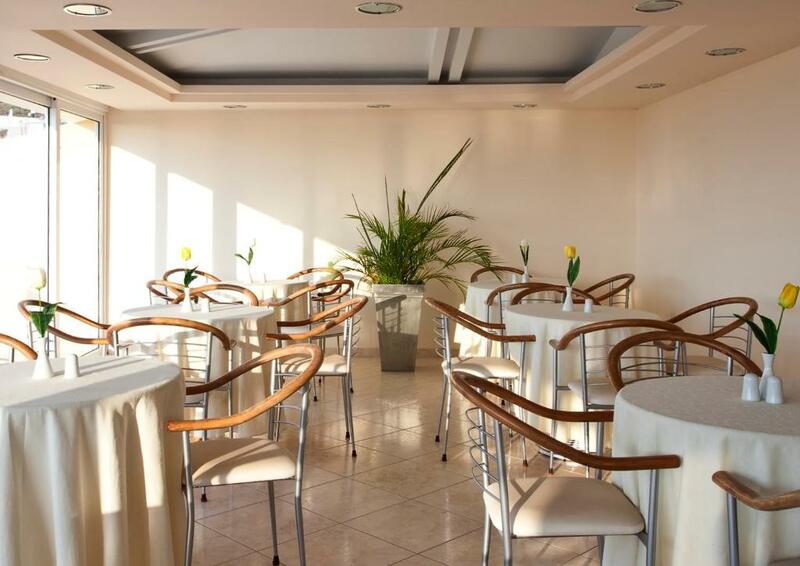 Very close to Viaros Hotel Apartments you will find a wide range of restaurants, bars and shops. This is our guests' favourite part of Tolo, according to independent reviews. This property is also rated for the best value in Tolo! Guests are getting more for their money when compared to other properties in this city. 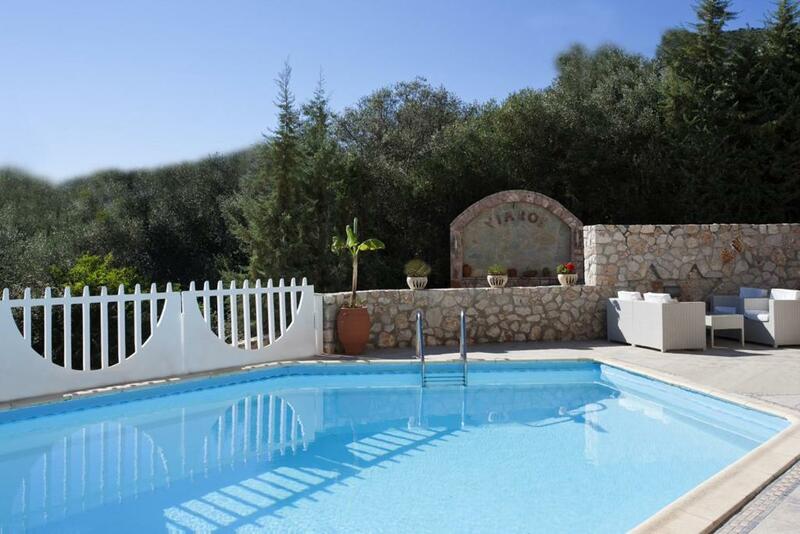 Viaros Hotel Apartments has been welcoming Booking.com guests since 2 Mar 2010. When would you like to stay at Viaros Hotel Apartments? Air-conditioned studio with a kitchenette and balcony with views of the sea. Please note that frying is not allowed in the unit. Air-conditioned apartment with a kitchenette and balcony with views of the sea. 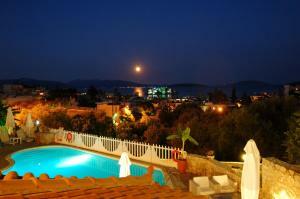 Air-conditioned apartment with a kitchenette and balcony with views of the village, or the mountains or the sea. This double room has a balcony, kitchen and air conditioning. House rules Viaros Hotel Apartments takes special requests - add in the next step! Viaros Hotel Apartments accepts these cards and reserves the right to temporarily hold an amount prior to arrival. Kindly note that frying is not allowed in the apartments. Somewhere to fix the shower on the wall rather than having to hold it. Maybe because it was off season the reception wasn't staffed. Understandable, but should fit a sign with a bell or intercom to call someone. Was a little concerning to arrive and find no-one to be seen, though eventually someone (security or maintenance man) did show up and then things were ok. The suggestion to call on a mobile isn't appealing - roaming calls abroad are expensive. Breakfast was ok but missing a few things (when I asked Greek yoghurt they provided that the next day, thx!). A noisy machine next to our room was annoying. Luckily it stopped during the night time. It looks like the owners are refurbing the rooms over time, and our room clearly hadn't been started yet. As such it looked and felt a bit tired, but I'm sure that's only a temporary situation as the other parts of the complex looked very fresh and new. Also, the mosquitoes were vicious (even when stepping out onto the balcony to spray bug repellent they took their chances! ), but it's Greece at the end of a long hot summer, so what do you expect? Parking was a little tight. 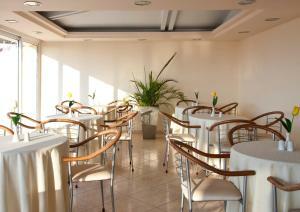 Excellent breakfast, friendly staff, large rooms with huge balcony. Comfortable beds. Beautiful view. Nice and quiet. Breakfast ok.
Make sure to take the room with the sea view, the rooms with windows to the other side have a rather depressive view. A bit of a smell (of old, perhaps smoke) in the rooms (curtain). The kitchen area could do with more glasses, utensild etc. A caftiere or something similar would be good too. Maybe a little welcome basket of some tea and coffe plus sugar and milk sachets left, would be lovely on arrival as I do in my holiday rental. Pool was very cold even though it was the end of the season after the summer's heat. The water was totally brown because the Medicane storm had affected the water system, which is out of the hotels control, but they didn’t tell us anything about it until we asked. They should have informed us at check in that the water was not drinkable. The view can not be matched. Rooms are modern and clean. It was great to have a balcony and the pool was very refreshing.